First, we recommend that you exit the LeadsTunnel site entirely, clear your cache and reset your browser before attempting to log in. This generally resolves any potential browser issues. Next, please log back into your LeadsTunnel members area. Please be sure you are following along with the Welcome - Watch First video and have already registered for your LeadsTunnel software account. Finally, please navigate to the LeadsTunnel Software tab of your members area. 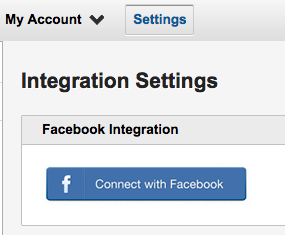 The LeadsTunnel Software allows access to a fully functional Connect to FB button in the Settings area of your account.